Is the Canon G9 X good for Carrying Everywhere? Canon G9 X has a score of 73 for Daily Photography which makes it a GOOD candidate for this type of photography. Canon G9 X will satisfy most of your needs, but if you are looking for a camera that is even better suited to Daily Photography, we recommend you to check the Alternative cameras at the bottom of this page. 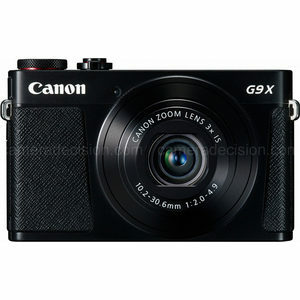 Compact body of Canon G9 X makes it much easier to carry it with you all day. Canon G9 X's 1″ (13.2 x 8.8 mm) sensor size is ideal for many street photographers as it provides a good level of low-light performance and depth of field control while keeping the camera body small. Having a camera with higher zoom ratio would be more practical.